← HCVETS.COM-WELL, WE’RE MOVIN’ ON UP. Santa’s remarkable helpers left a special Christmas gift this year. It came in a big heavy box. I admit to coveting my own Ped-O-Jet after seeing pictures of them online here. Now I have one. I have a few plans for this 1960’s Jetsons-vibe contraption. People to meet. Places to go. Thank you kind family for helping me join the elite Ped-O-Jet Owners’ Club. There is now a Vermont Chapter. This unsanitary device has become an apt symbol for the terrible outbreak of hepatitis C in military veterans. 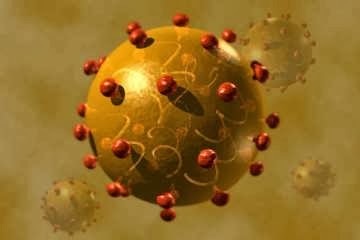 No other American sub-population has suffered more from HCV–the disease and the stigma attached to it. Yet, due to the natural progression of the disease and the lack of scientific screening until the early 1990’s, the outbreak was not recognized until decades after active service. 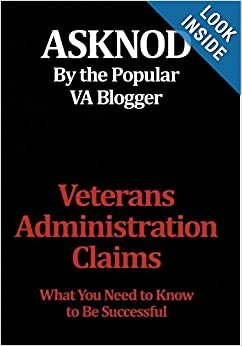 This entry was posted in All about Veterans, Food for thought, General Messages, Guest authors, HCV Epidemiology, hepatitis, Inspirational Veterans, Jetgun Claims evidence, medical injections, Military Madness, Uncategorized and tagged asknod.org, HCV, HCV Veterans, HCVETS, Jetguns. Bookmark the permalink. I just wonder how many more diseases the VA discovers related to Hep C exposure or AO after we are all dead. Of course when the last Vietnam vet dies the research on AO exposure will die as well. What is final word on jet guns and Hep C? I know it was a bloody mess at Ft. Benning when we got injected by half-trained medics. I never thought that I could get blood borne disease from the process of being inoculated for plague or Break Bone Fever. I remember some guys with really horrible infections after getting the shots. Yup. This crisis is far from over. The apparatus is a shocker. It would never get on an airplane these days–it’s so scary. Much less near someone’s arm. Some ideas are percolating in my brain. One is to start a local organization. Name? Maybe something like big–like National Veteran-Hepatitis Study Group; and create some expensive stationary with a jet injector logo. VT Members? Me, my hubby and Frank. Make some contacts with veterans groups locally. Meet up at a rent-free post or town library to discuss (when the roads are safe to travel). Maybe one with free video-conferencing. Can you get a video-conferencing set-up through ILP in Gig Harbor? I like to write but the idea of public speaking gives me a panic attack. Need to find a good talker. Contact political folk–Bernie, state and town. It’s free for small orgs to register as lobbyists in VT. Collaborate with Asknoders. And so on. Many people from different fields can add their perspectives. Share the process here. Let the local editor know what’s going on. That will mean–publicity. Outside my comfort zone but necessary. Have lots of questions for VA researchers and VA liver specialists. It would be nice to find allies within the VA and government agencies. Have no clue if I’ll have enough time and energy to do even do a small fraction of what can be done. Another project is to index and/or annotate Asknod posts by category–posts that would be helpful to consult on claims going forward and put the list on a page (versus post) because the search function can be tricky in finding info..
Oh well, it’s Christmas Eve and Hannukah this year too. Time to wrap a few gifts and bake a pan of brownies for the other elves. Cheers all! That puts you on the VA’s naughty list with the rest of us. Welcome. After reading the latest batch of BVA decisions, it’s clear our job is not done. Veterans Service Organizations continue to lead Vets into the Valley of Denial with no IMO. Having a go-to source to provide a jet gun for a hearing is imperative. We’re covering more and more of the US with the potential for a hands-on experience for BVA Veterans Law Judges. A picture might say a thousand words but a gun in the hand is smoking good evidence. Merry Christmas, Sugar. Enjoy it and make it available to others.